NEW YORK (CelebrityAccess MediaWire) — TuneCore announced the acquisition of DropKloud and addition of its co-founders, James DeNino and Kedar Frederic to the TuneCore team. The two will head up TuneCore's new office in Boston, where they will focus on product development in a new TuneCore innovation lab. This purchase furthers TuneCore's commitment to provide artists with tools and resources for the music industry. 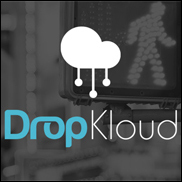 DropKloud is a modern, digital enhancement to the street team promotion, allowing artists to drop digital content – whether it's exclusive access to a song, an invite to a pop-up showcase or behind the scenes photos – into 'Klouds' available to fans in specific physical locations. Following a beta launch at SXSW 2014, the app is being further developed and is expected to launch in spring 2015 as an exclusive TuneCore Artist Services.